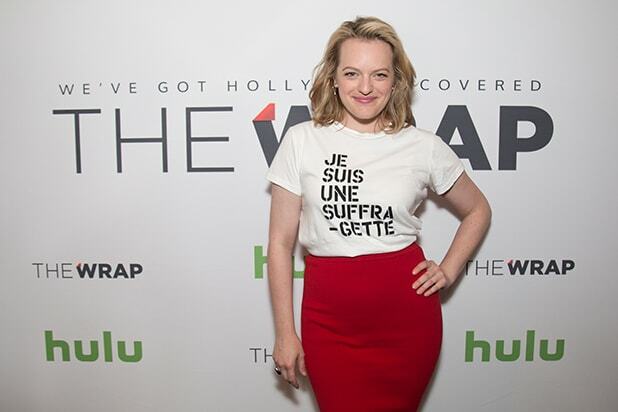 Award-winning actress Elisabeth Moss said the threat to women’s rights was turning her generation into feminists and activists, in an interview at TheWrap’s Power Women Breakfast in Washington, D.C., on Wednesday. “I think our generation has taken our rights for granted,” she said, speaking beside author Margaret Atwood at the W Hotel across from the White House in Washington, D.C.
Moss and Atwood appeared at the breakfast to talk about the upcoming Hulu series “The Handmaid’s Tale,” based on Atwood’s 1985 best-selling novel. Moss plays a woman who is forced into slavelike service to bear children in a futuristic society where most women no longer can. “The Canadian crew was like, “‘Are you OK? '” Moss said. The event also featured a panel discussion on “Covering Trump: The Women on the Front Line” with Carrie Budoff Brown, the editor of Politico; Cecilia Vega, Senior White House Correspondent for ABC News and Christina Wilkie, White House reporter for The Huffington Post, moderated by Recode Executive Editor Kara Swisher. A panel titled “Public Funding for the Arts: The New Priorities” featured SAG-AFTRA President Gabrielle Carteris; Robin Bronk, CEO of the Creative Coalition; and Romina Boccia, the Grover M. Hermann Research Fellow for budgetary affairs at the Heritage Foundation. The event was livestreamed on Facebook and drew more than 20,000 viewers in real time. The room filled with full women leaders across government and media made feminism the focal point of the conversation. Atwood told TheWrap’s Editor-in-Chief Sharon Waxman, who moderated the session, about the term. “When the pill arrived for people who were not married, that’s when the 60s took off… And without pantyhose you wouldn’t have mini skirts and without miniskirts the 60s wouldn’t have been the 60s,” she said. Atwood then mentioned the iconic scene of Peggy, played by Moss, walking into McCann Erickson with a cigarette in her mouth is an example of how feminism stormed into the 1970s. Recode’s Swisher asked about a scene in the Hulu show when Moss’ character is forced to take off revealing clothing that was based on part of Atwood’s novel. This is the second year the Power Women Breakfast series has come to the nation’s capital to connect the most influential women across government, media, entertainment and policy. The Power Women Breakfast series brings together influential women of entertainment, media, technology and brands in key cities to network and connect. The franchise is now in four cities Los Angeles, New York, San Francisco and Washington, D.C. Previous speakers at TheWrap’s Power Women breakfast series have included Academy Award-winning actress Helen Mirren, comedian Chelsea Handler, “Game of Thrones'” actress Emilia Clarke, activist-actress Selma Hayek, “Billions” star Malin Akerman, producer and entrepreneur Gail Berman, California Senator Kamala Harris, Minnesota Sen. Amy Klobuchar, New York Times Columnist Maureen Dowd, media executive Nancy Tellem and digital executive Susan Lyne. The event was sponsored Hulu, Discovery, SAG-AFTRA and Creative Future. An auction raised money to support the International Women’s Media Foundation (IWMF). The scene at the Power Women Breakfast. An attendee at the Power Women Breakfast. LA Times writer Laura King at the Power Women Breakfast. 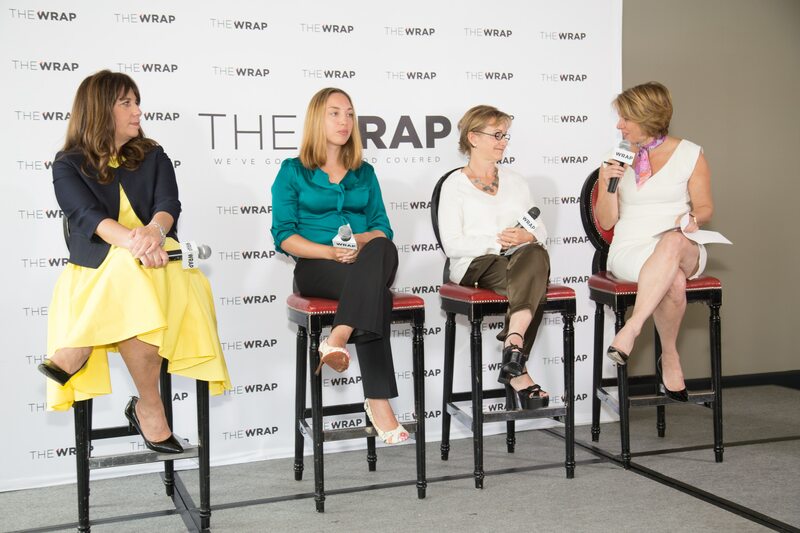 Paul Almeida, Gabrielle Carteris, Katie Thompson, Emily Larsen, and attendees at the Power Women Breakfast. 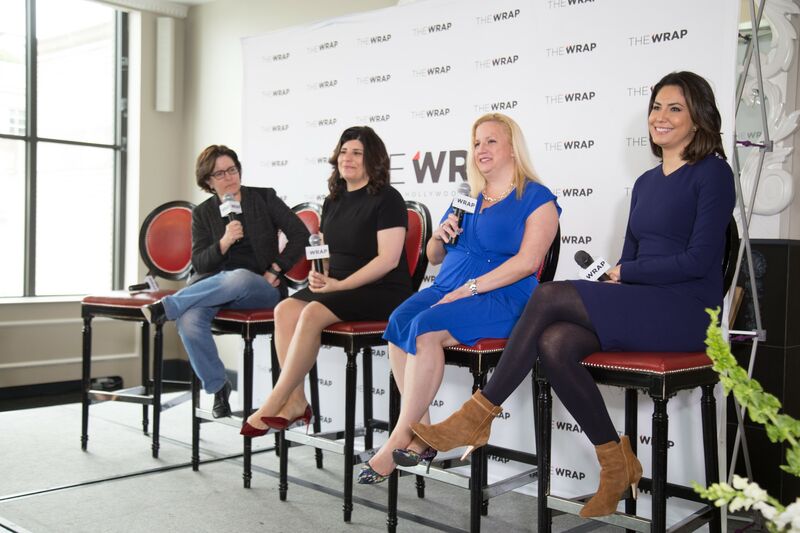 The scene at TheWrap's Power Women Breakfast in Washington, D.C., on April 19, 2017. Emily Larsen at the Power Women Breakfast. Katie Thompson at the Power Women Breakfast.